Raffa Santana has always loved the mysterious Forest of Wonders. For a gifted young apothecary like him, every leaf has the potential to unleash a kind of magic. If only Raffa's cautious father would allow him to experiment freely, Raffa knows he could discover miracles. When an injured bat crashes into Raffa's life, he invents a cure from a rare crimson vine that he finds deep in the forest. The powers of the vine are stronger than Raffa could have imagined. His remedy saves the animal but also transforms it into something much more than an ordinary bat, with far-reaching consequences. Raffa's experiments lead him away from home to the forbidding city of Gilden, where troubling discoveries make him question who he can trust . . . and whether exciting botanical inventions, including his own, might actually threaten the very creatures of the forest he wants to protect. 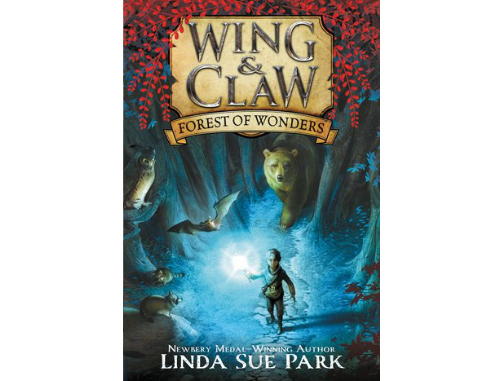 This enchanting new series from Linda Sue Park, recipient of the Newbery Medal for A Single Shard, richly explores the links between magic and botany, family and duty, environment and home.